Olivia Burton presents this beautiful Olivia Burton Ladies' Bejewelled Bee Pendant with Rose Quartz. Simple in design yet stuniing in form, this beautiful pendant features real rose quartz (also known as the Heart Stone), the crystal is associated with attracting and keeping love, and channelling compassion and peace. 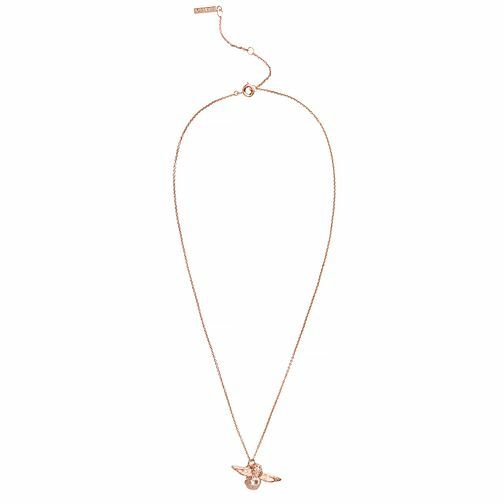 The beautiful design is finished with a soft rose gold 3D Bee and matching chain, the perfect accessory for day or night.